On September 16, 2011 a race modified P-51, flying in the National Championship Air Races in Reno, Nevada lost control and crashed near the spectator grandstands. At least 10 people including the pilot were killed and over 70 were injured. When a tragedy of this nature occurs the natural questions arise as to whether the air races were run in a safe manner and whether air races and airshows should change their safety procedures or even be banned. I am a former U.S. Air Force fighter pilot and was trained by the Air Force to be an accident investigator. Over the years, many of my friends have attended the Reno Air Races and it would be terrible if any of them had been hurt or injured. That said, the circumstances need to be considered as well as the nature of airshows before any hasty decisions are made to limit how these races and shows function. Like the accident investigation itself, all factors should be reviewed and considered before a final judgement is made on the appropriate course of action. Is Safety the Overriding Importance? Airshows and air races are required to follow the safety rules and regulations put out by the Federal Aviation Administration for such events. The Reno Air Race met or exceeded all of the requirements stipulated by the FAA. These types of aviation events have been held in different parts of the U.S. almost since the day Orville and Wilber got off the ground and airshows around the country are very popular. There is a tendency — especially from the news media — to cry for more safety rules whenever there is a tragic accident. The truth is you cannot have enough rules to cover every circumstance which could result in an accident. Especially in an area with inherent dangers such as aviation. In most cases if something goes wrong with a plane flying at an airshow the pilot has enough time and experience to get the plane safely on the ground or in the second worst case away from the crowds before the plane crashes. There is no amount of rules or regulations which can substitute for pilot experience. I believe anyone who would call for changing the rules currently in effect for airshows would only achieve a result of fewer airshows in the U.S. Another point to consider is the difference between airshows and air races. For an airshow, the stunt flyiing is restricted to a certain piece of air space with different parameters than for an air race. 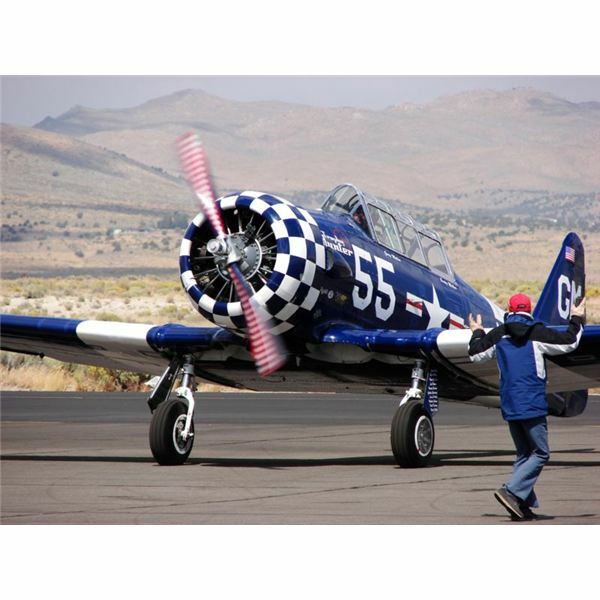 The bottom line to remember is the Reno Air Races have been held annually for 47 years and the 2011 Reno airshow crash was the first time spectators had died from an airplane crash. Many Americans love airplanes, airshows and air races. Small local airshows draw tens of thousands of spectators. The large shows attract hundreds of thousands each year. People are fascinated by planes and the pilots who fly them and by the amazing maneuvers of an acrobatic show as pilots fight g-loads that would cause most people to pass out. Flying these types of planes and putting the planes and pilots through the stresses involved is a dangerous business. For many spectators that is part of the thrill of watching an airshow. The pilots who participate in these events have years of experience and have probably saved themselves from life threatening situations many times. The pilot who crashed at Reno was a 74-year-old stunt pilot. He had enough flying experience to fill books with flight lessons. However, one bad moment or mechanical failure ended his life and those of others watching the race. In my opinion, the current FAA regulations are adequate for the safe operation of air races and airshows. One accident with spectator fatalities in 47 years is a pretty good record for this high risk sport. Sometimes when the news is filled with death and destruction, it motivates people to want to do something to guarantee safety in the future. The underlying truth is that accidents are not always avoidable, whether driving on the highway, having a bath or going to an airshow. If you are an aviation buff you know what I mean by the thrill of attending a show. If you are not, either go to an airshow and check it out or let the aviation fans have their shows the way they currently work, with adequate levels of safety precautions in place, and lots of amazing flying.